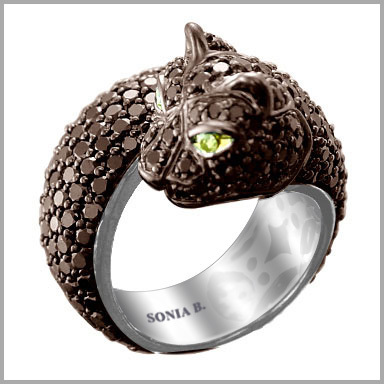 This panther style ring is crafted in polished 14K white gold. It features 262 round full cut diamonds in prong settings. It also features two round cut 1.8mm tsavorite stones in bezel settings making up the intense eyes. The total diamond weight is approximately 5.76ct. The setting size is 15/16" x 3/4" with a height of 1/2". It has an undergallery for added beauty and comfort. Gorgeous ring! More stunning in person. High quality, heavy in weight. A real show stopper. You will NOT be disapointed in your purchase of this divine creation. Looks much more expensive than selling price. 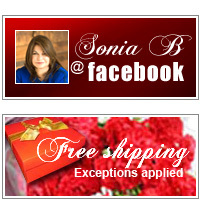 Thank You Sonia for another gorgeous, GORGEOUS ring!